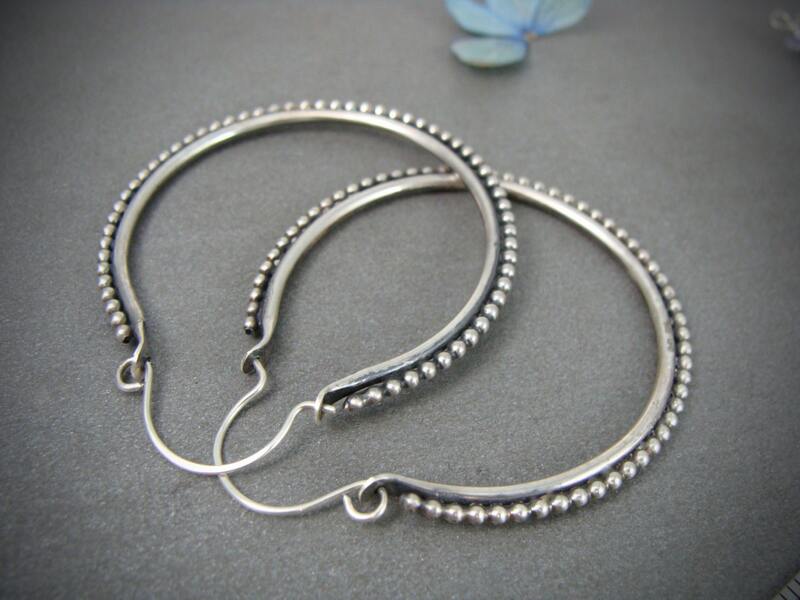 Smooth silver wire has been fused together with delicate beads to give these classic earrings an updated look. The silver has been given a dark patina and then brushed away to bring out the bright silver highlights. 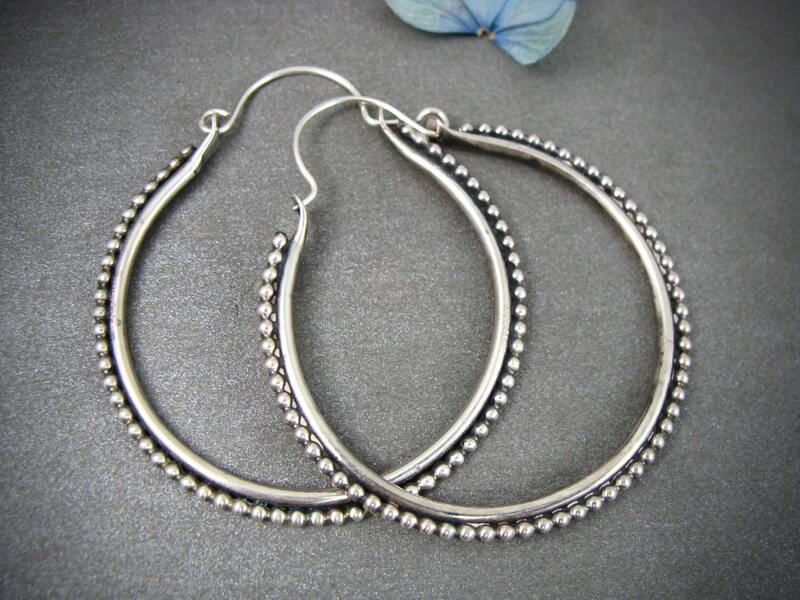 These simple earrings are comfy and lightweight, sure to be your everyday favorites. 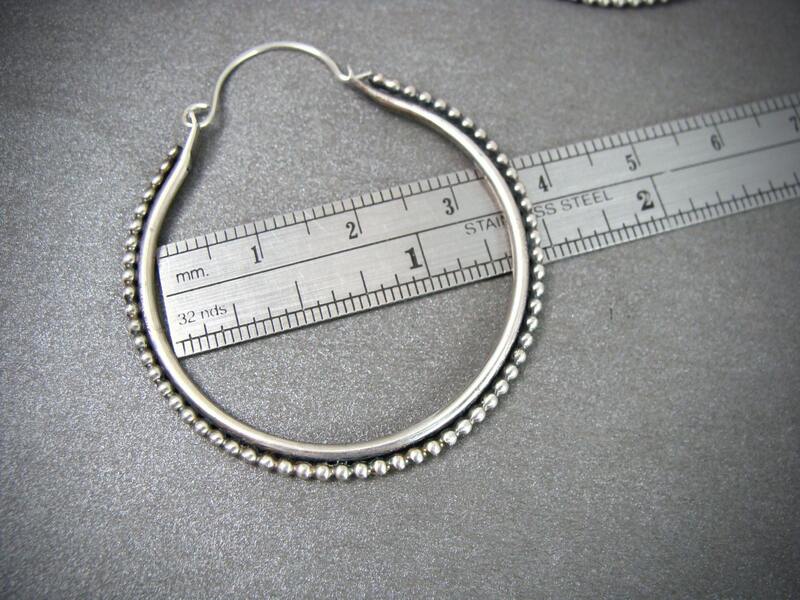 ☞ Size 1 3/8 x 1 3/4"
OMG, I am so impressed with these earrings. I've had them on all day. Beautifully crafted, nicely packaged. The price is reasonable, and the customer service is of high standard. Thank you! Beautifully crafted earrings 🌸 Thank you! 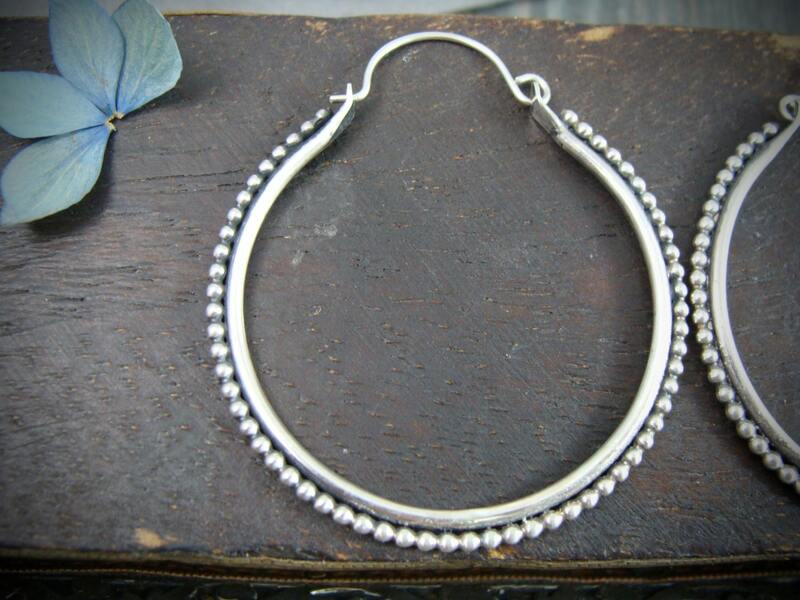 Amazing silversmith! Great customer service too. Melissa your jewelry hands down so unique & beautiful. I love every piece I ve gotten from you. I m worn a few things since I received my pieces of art. Thank you so much for sharing your talent!! 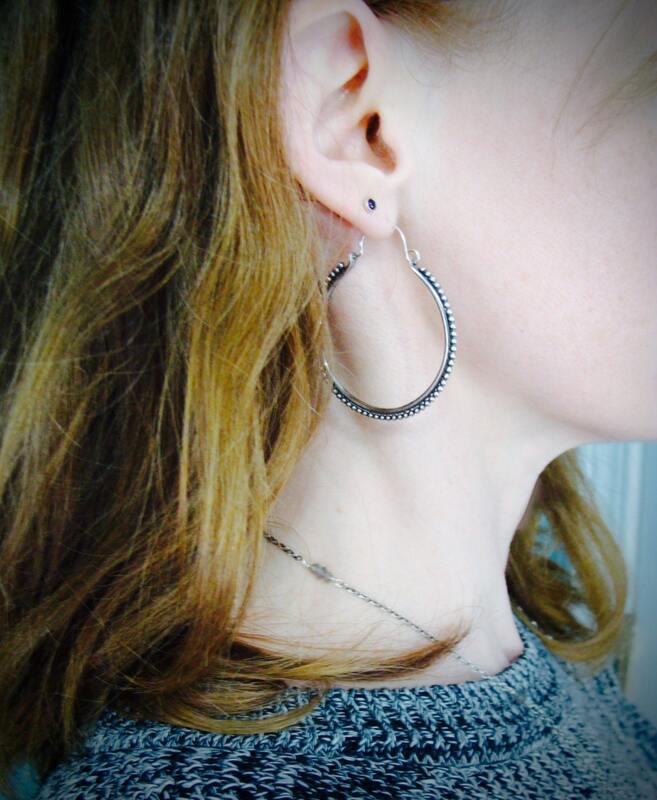 LOVE these earrings, want bigger so I ordered some!! THANKS Melissa! !